Raised in Chicago’s northside and the youngest of several musical brothers, award-winning composer and pianist Rob Ryndak led his own rock band playing the drums while still in grammar school, actively performing at parties and talent shows. Yet, a little over a decade ago, the horn lines and rhythmic cadences he presents today were about as far removed from Rob’s life as a jazz club is from a seminary, which is exactly where Ryndak really honed the tools of his craft. While studying percussion and taking basic piano courses at Triton College, Ryndak discovered the need to nurture his spiritual development and entered a Franciscan seminary. After four years of study and writing music for choirs and cantors, he realized his true vocation is music. With his return to the secular world, Rob Ryndak pursued his passion and musical studies with Frank Caruso, Laurence Hobgood, Hal Russell, Jake Jeiger, Alan Swain, Kent Wehman, Bob Bullard and Don Owens; all of whom have influenced his compositions and performing, as well as his own teaching. As a performer, Ryndak has recorded and played with a long list of Chicago greats including Steve Cole, Ruben Alvarez, Geof Bradfield, Carlos Cornier, Paulinho Garcia, Greg Fishman, Larry Gray, Rob Kassinger, Bobby Lewis, Richard Patterson, and Paul Wertico. Although primarily a pianist, Rob continually draws on his percussion roots to infuse a strong baseline of rhythms in his writing and still likes to get out from behind his piano to play congas. Rob’s own ensemble has performed at festivals throughout the Midwest such as the Munster Indiana Jazz & Blues Festival, Nebraska’s Joslyn Museum’s Jazz on the Green, Milwaukee’s Jazz in the Park, and Chicago’s Music on Michigan Avenue. Ryndak and his ensemble were also featured as the opening act for Steve Cole at Milwaukee’s Third Ward Jazz Festival. In the recording of his jazz work, Ryndak has compiled four albums of originals. A Reason to Smile (2006), his first album with Pacific Coast Jazz, Boundless (2000), Stay With It (1998), and his debut album Moving Forward (1996) all on the Southport label. His fifth album, A Wonderful Thing, is set to be released in January 2013 on the Pacific Coast Jazz label. A classical recording of his solo piano compositions is currently in the planning stages. Although different in their own right, each jazz album highlights Ryndak’s melodic simplicity despite the variety of styles and rhythms he uses to create music. All of which leads to heart felt improvisation and forces his ensemble members to rely on their gut instinct more than habits. Rob’s lyrical melodies are, more often than not, brought to life through a blend of strong percussion with flute, trumpet and/or sax. 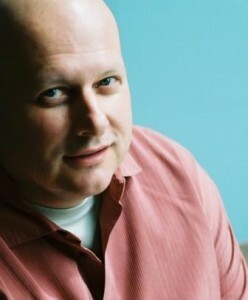 Rob Ryndak is a member of the American Society of Composers and Publishers (ASCAP) and has been an Annual Award recipient of ASCAP since 1999. He is also a voting member of The Recording Academy. Other professional affiliations include the Jazz Education Network (JEN), the Chicago Area Music Teachers Association (CAMTA), the Music Teachers National Association, Chamber Music America, and the Jazz Institute of Chicago. Ryndak holds a Liberal Arts degree from Triton College, a BA in Philosophy from Quincy University. Rob has also done graduate study in Franciscan spirituality from St. Bonaventure University and Masters of Divinity course work at the Catholic Theological Union in Chicago. His Master of Music in Jazz Pedagogy is from Northwestern University. In addition to composing and performing, Rob has taught at the college level and currently teaches classical and jazz piano, percussion, jazz improvisation, and music theory privately through his studio. Rob makes his home in the Chicago area with his wife and daughters.